I had an awesome post typed out for today – and something happened and the wonderful world wide web ate it! So here I go again – I will try to remember all the good things I had typed out. I have been in recovery now for 131 days, every day it gets a little better. Death has been all around me lately, whether it be program related or just in general. But is saddens me when I hear of it non the less. My self adopted family just lost his brother, cancer was a painful thing for their family. Dealing with the thoughts that my husband could have drank himself to death had nothing been done scares me. But I try not to let those thoughts stand in the way of the happiness that I have right at this very moment. That’s all I can do is live for today. The past is the past and things that happened yet are still up to God. I can pray and I can ask the right questions, but I have to be willing to listen to the answers even if they are not what I want to hear. I have a friend who is still in ICU, he is making progress and they are keeping us all posted. Again, all I can do is pray. as this month comes to a close I wanted to mention that I have yet to work my step 4 – I know the other ones were not like this one. And I am not alone, I know of a few people who have been in program a long time and are still working on number 4. I ordered blue print for progress off amazon and it should be here today. I am also taking some classes online that my work is offering. I started my first one on Friday, there are 15 I want to take. In the first one, one part mentioned writing out a personal inventory of yourself – HA – that’s step 4! How about that, it’s funny how program works for all parts of our lives. He came home from his meeting with a new saying. He said It would make a good post. He has some very good ideas and a lot of what I post comes from him. He said it’s not just about being responsible – it’s about being response able. While I was in my crazy out of control moments of trying to fix my drinking spouse – I had been forgetting my responsibilities. I was more concerned with his well-being then mine. And when I became this crazy person I was no longer response able. I would either blow up, or bottle it all in and die a little more emotionally. Yesterday was a test to this very thing. I started writing this post well over a week ago but for some reason I was having a bit of an issue finding something to say. I didn’t want to just delete the draft cause I still wanted to post something on it. But Yesterday on my way home from work I had a bit of an incident. I am so sore – will be working from home today. After everything settled yesterday hubby had me put a water bottle on the floor boards so I could see that there is no way for it to get under the pedal so I know not to freak out the next time. Had I known this prior to yesterday Dora (yes my ford explorer is named Dora) would not have a very sad pout at the moment. He also had me prove that if it had gotten under the pedal I could have smashed it with pushing hard enough on the pedal. For my readers who ever fear this I suggest you check to see where it would roll on your car so this doesn’t happen to you. Lesson learned, no one was hurt. I hope that the young man who I hit can forgive me, it was not my intention to hit him and I hope that everything goes OK with the repair of their car. May my higher power forgive me and help me over come this. When I called my husband to inform him that I had in fact just rear-ended someone – he turned right back into Mr Hyde. He said some very mean things on the phone before we hung up. I realized that he never even asked if I was ok. We exchanged information cause do to a reduction in funds, the police will not come out unless there is an injury. I got a call into start farm to put in the claim and to get a tow. Dora was drivable except I had cut the trans cooler line. I have free towing so it was not a big deal, just had to wait for the wrecker. My dad was not too far away so I called him and he waited with me. The tow truck showed up and I got another call from my husband. He was calmer and asked if I needed a ride, I said no dad is here and so is the truck. We hung up and then he called me while dad and I were getting on the freeway to go home. He apologized for losing his mind and yelling at me, he also said he was sorry for not asking if I was OK. He got home and looked at Dora, he can fix her up so I am not too worried. most of it was just cosmetic and its looks like a bumper and grill is in order. He will know more once he gets all the parts off. If it’s just that I have to drive for a while without a front bumper – I have no problem with that. want to hear how the lord works in weird, and sometimes very messed up ways? My husband had gotten his very large and very cool air compressor yesterday. He had been waiting for like 4 weeks now to get it. They put it in the back of his truck fr him and he was not sure how he was going to get it out of his monster truck when he got home. My dad had planned on being at our house to help him with it so that worked out that he was bringing me home anyways. That’s not the strange thing though. The air compressor weighed about 450lbs – and it was all at the top of the darn thing with is about as tall as I am. There was no way that my dad and my husband could have gotten that thing out of my husbands big lifted truck. The tow truck driver was more than happy to help once Dora was unloaded. The boys tried to kill themselves getting the darn thing off the crate, so I am glad they didn’t attempt to remove it from the bed of the truck. So had my higher power been looking out for me in a strange and messed up way – maybe. Nothing just happens – it all happens for a reason. We might not like it, but it is what it is. Not ever cloud has a silver lining. I guess I had been living on this pink cloud of recovery, that everything in life was just peachy. We I fell off and hit my knees. But you know what I did? In stead of my old ways of wallowing in guilt and pain, I got up, dusted myself off and took on my responsibilities. I was able to be response able and took care of calling the insurance, my own tow truck and I even called 911 before I got out of the truck. Freaking out was not going to solve anything – so I kept calm and dealt with it. My husband and I are still ok, we were able to talk about it and both say we were sorry and still loved each other. So if you are living with a recovering person, remember that they still will have a little bit of that “stikin thinkin” going on but the amends should be right around the corner, have faith and have love and remember – you are not alone. If no one has told you they love you today – I love you and God does too! The illnesses I live with are: Migraine disease, IBS, chronic body pain, hypoglycemia and a few others. I was diagnosed with it in the year: 2003. The biggest adjustment I’ve had to make is: Keeping medication on me at all times, avoiding food and environmental triggers. 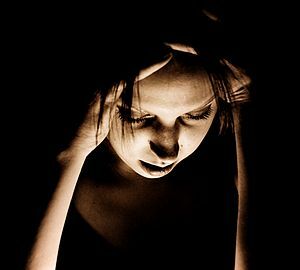 Most people assume: that Migraines are “just headaches” or no big deal just deal with it. A gadget I couldn’t live without is: my computer and my smart phone. I track all my migraines with an app on my phone. The hardest part about nights is: occasional insomnia. Regarding alternative treatments I: use meditation, heat/cold therapy. If I had to choose between an invisible illness or visible I would choose: visible. Regarding working and career: I can work from home when I can’t make it to the office. People would be surprised to know: that I am in some type of pain every second of every minute of every day. The hardest thing to accept about my new reality has been: limitations. Something I never thought I could do with my illness that I did was: make a difference for others with the disease. The commercials about my illness: are far and few between and inadequate. Something I really miss doing since I was diagnosed is: I was diagnosed at 20 years old with migraines, but have had then since I was 4 – so not sure what I have missed other than a lot of work days. IBS has made me change my diet. I have missed social events and work events due to overall body pain. It was really hard to have to give up: I had to give up eating, smelling or being around chocolate at all. A new hobby I have taken up since my diagnosis is: Not much I can do while a migraine is in full swing. But while being laid up in bed with other pain or unable to sleep – I like to blog, read, crochet, paint, cross stitch…lots of different things. I like to play online games too once in a while. If I could have one day of feeling normal again I would: not know what to do with myself. better yet – who’s normal are we talking about? All I have ever known is this pain. My illness has taught me: Not give up, that I am not alone and that the ones who love me really do care. Want to know a secret? 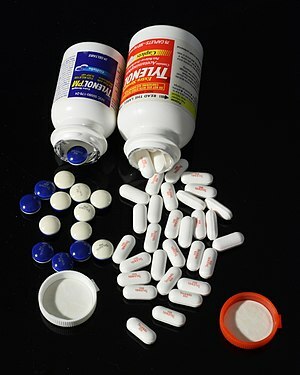 One thing people say that gets under my skin is: people thinking I can take a couple of Tylenol and “get over” a Migraine. But I love it when people: actually ask questions and want to understand. My favorite motto, scripture, quote that gets me through tough times is: Can only live life on life’s terms – can only live one day at a time – Let go and let God – turn things over to a higher power, or a power greater than myself. When someone is diagnosed I’d like to tell them: learn all you can about this disease, then take charge of your health, your own health care and pain management plan. Something that has surprised me about living with an illness is: how many people come up with “cure” scams to make money from us. The nicest thing someone did for me when I wasn’t feeling well was: my husband rubs my back and my neck for me once in a while. He tries to keep the house quiet and dark for me. I’m involved with Invisible Illness Week because: if we’re to make progress, we must speak out and keep speaking out to educate people. The fact that you read this list makes me feel: that we CAN make a difference! It means a lot to me to be able to share with others the pain and the suffering that I live with every day in the hopes that maybe someone will find in it the comfort that they are not alone. Just as with the openness that I have with the AA and AL-alanon aspects of our life, migraines and chronic pain is something I wish to be open about. Through numbers we gain strength and hope. Migraine sufferers have a high subside rate, its is hard to get health care professionals to understand that not all chronic pain sufferers are pill seeking. Most of us would rather have a treatment plant than be drugged. Those who seek only to drug themselves then live life might have started out this way, but through desperation have reached a point in which being unable to feel anything is better that feeling pain. At least to me , if I can still feel – I am still alive. It might be pain, it might be dark, lonely and terrifying, but I have faith that when the clouds part, I will have sunshine – even if its for a brief moment. http://wp.me/p25MWd-1A. That post is from my other blog and is on how I spent my Saturday after noon. There have been many instances lately (Which have also been a root cause of the absence of my writing) where work has just overwritten even my play time. I find myself dedicated to a cause, even striving to near perfection, in the completion of all tasks in a prompt and friendly manner. When I started to fall behind in a workload where only 50% I could actually control, I started to unknowingly allow myself to fall into the HALT categories. On the days where I was working, I pushed myself far beyond the normal limits, and the consequences started to rear their ugly heads. Whenever I went into work early, to try to get a head start and edge the workload, I began to edge my need for food, and began to become hungry. When I was hungry, it was far easier to become irritable- which meant being angry was only a step away. Let me assure any doubters out there, that when you are angry, people will respond to you in two fashions; 1) They will get angry in return and a fight will follow or 2) They will avoid you like a bad case of the flu, which will ultimately leave you alone a.k.a. lonely. Once you have reached this point you will hit a stonewall emotional dump….sometimes even physical and behold, you are a tired individual. I don’t know where the origination of HALT came from, but I do know that it makes sense to avoid every item on that list. I found that in no instance when I allow myself to follow in any of these categories, was I properly working my program, and was readily reproved by my sponsor. He chuckles at me frequently however and is quick to remind me that I am asking for trouble when I fail to start my day with a prayer and a daily reading. I guess we all need a reminder every once in a while, even if you are years into sobriety, or just days. God will grant me the serenity to accept the things I cannot change, All the courage I Need to change the things I can, and the wisdom to know the difference If I Ask For His Help. BB p.151, A Vision For You: Momentarily we did — then would come oblivion and the awful awakening to face the hideous Four Horsemen — Terror, Bewilderment, Frustration, Despair. I have felt all of these, the four horsemen followed me around for a long time. They would take turns trying to tear me to my knees. 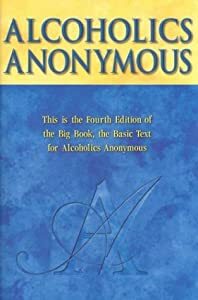 I get a lot out of the AA big book as I do my Al-Anon daily reader. If you have yet to read the To the Wives chapter, I highly recommend it. I need to re-red it myself now that my head is ready to wrap its self around being in recovery. I was not ready to embrace the concept of being in the desperate need of recovery myself. 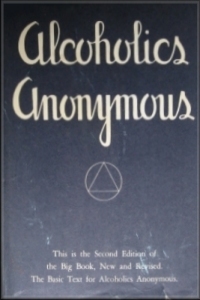 I try to read items from both my Al-Anon books and my husbands AA book. Going to the AA meetings and reading the big book has helped me understand who I am dealing with. Just because he is sober doesn’t mean he doesn’t still have some of the same thoughts and feelings. But what is changed is how we both react to those thoughts and feelings. I can not change him in any way, what I can change is how I react to them. I can only control myself, that is a full-time job as it is so I should not even dare to try to take on controlling someone else. I think that is what happened, I tried to control so many other things that I had no choice but to give up the control that I had over myself. Frustration still haunts me, I still have an issue with that one. I get frustrated over things, but I try not to let it over take me. If it is a valid frustration then I need to approach the matter with a calm head. If it is something that is out of my control then I need to let go of the frustration, cause it is only effecting me at that point. I need to stay calm and ask the person to stop doing something, or ask them to help me if that what I need. People are not mind readers. I am very sorry about how tardy I am in getting this post done, but I have been very ill for the past week. I have had to miss almost a week of work and have been working from home. This step scares me, I am not sure even where to start. I want to get the book “blue print for progress” I think it will be better for me to have a guide vs staring at a blank piece of paper. I do that almost every morning when I start to write these posts, but its a little different. It’s hard for me to explain. Moral inventory, that involves diving deep within myself and exposing all the bad with the good I was told that every time you do set 4 it’s like peeling an onion, you go a little deeper each time. Remember these steps are not just a one time deal. They are something I will be working on for the rest of my life. I have yet to find a AA or AL-Anon book with the 12 steps page either torn out or with perforations. It’s not something that you just run through once and your are good to go. I know someone who has been working on their step 4 for almost a year now. There is no time limit, there is not rules as to what you have to put down. It’s all on how far you can go at this time. I was told that each time I go through the book “blue print for progress” write it in the book in pencil or write it on other paper, but date it so when you do the step again you can re-read the other stuff you wrote and see how much you have grown.